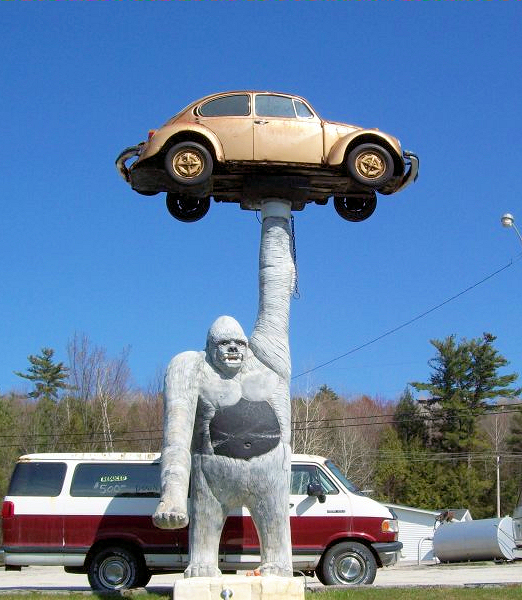 It’s “Queen Connie” the Gorilla proudly holding a VW aloft. Why? Maybe this will explain things.